At Cause Coffee you will find a true Italian Coffee menu where a macchiato is truly a macchiato and a cortado might become your favorite drink. Or maybe our popular cappuccino? 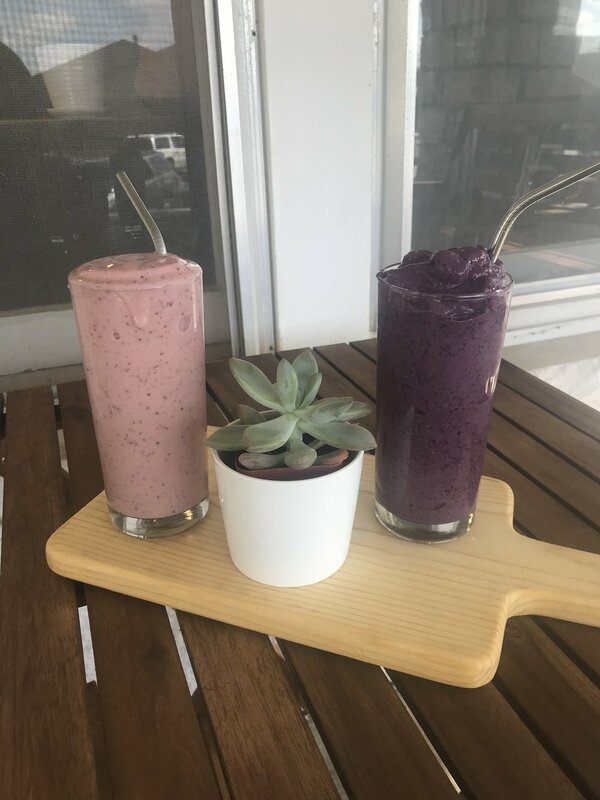 At Cause everything is highly crafted from our batch brew coffee to matchas... even our organic smoothies! Lots of effort goes into each pour over from our selection of single origins. We desire to make, whatever you select, a wonderful culinary experience. Our goal is to take care of you along making you feel at home. Only ethically sourced ingredients are used... that includes coffee, tea, chocolate, vanilla, sugar, coconut oil and more. What does ethically sourced mean? Slavery is alive and well and we will not support it. Forced labor is a tragic problem and it must be stopped. Great time has been invested to feel we can serve you slave free food. It has integrity and it is good too! All ingredients are natural with many organic as well. You will not find GMO’s at Cause Coffee either. But, you will find many local vendors pulled together to give you a memorable experience! Gluten free, dairy free, vegan, or paleo... we have options! 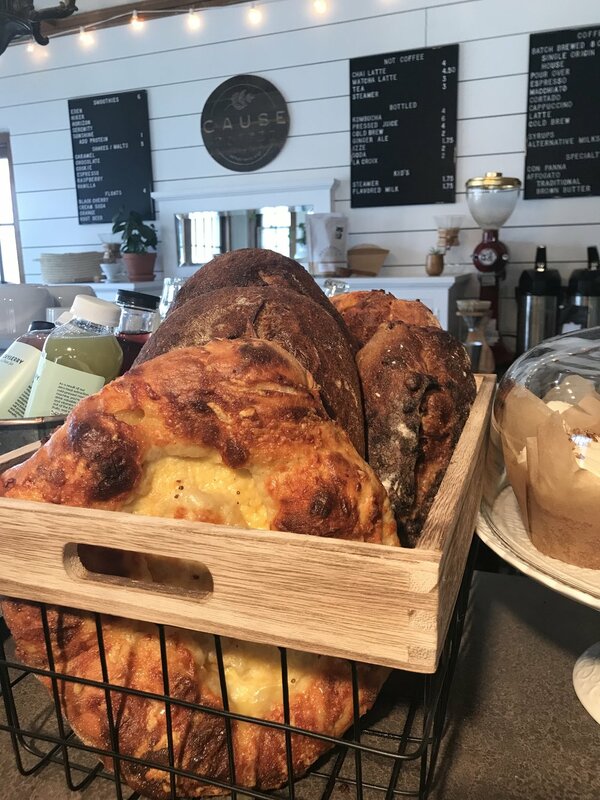 You can also choose from a large variety of pastries from Alchemy Coffee and Bake House along with artisan bread from 1900 Barker made fresh daily! 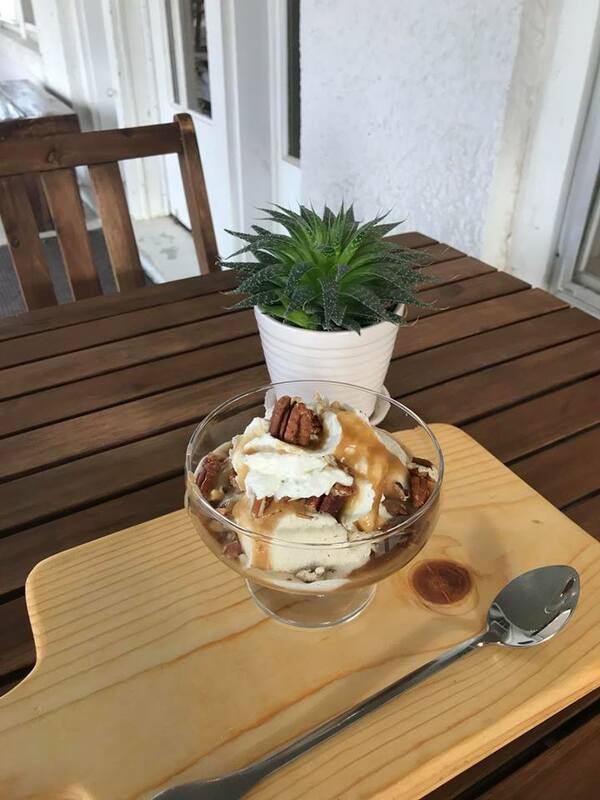 Or select one of our daily specials like organic local yogurt bowls with organic fruit and granola, amazing organic GF egg frittatas, and biscuits and gravy ( served Fridays and Saturdays). Exciting new special coming soon! So come see us and let us serve you! Look below to view some of our beautiful menu items and behind the scenes shots. Take a look at our photo gallery page to see more!